It was fascinating to visit and earn about an ancient and famous place, the holy town of Pushkar, from the eyes of a family members who grew up there in a prominent social position. I had gone there a few times earlier too, but never quite had gotten a feel for the place. Pushkar is often called ‘Tirath Raj’ or the king of pilgrimage sites. It is also one of the oldest living cities of India. (For more visit http://en.wikipedia.org/wiki/Pushkar.) Pushkar has the unique distinction of having the only temple in the world dedicated to Lord Brahma, the creator of the world according to Vedas. 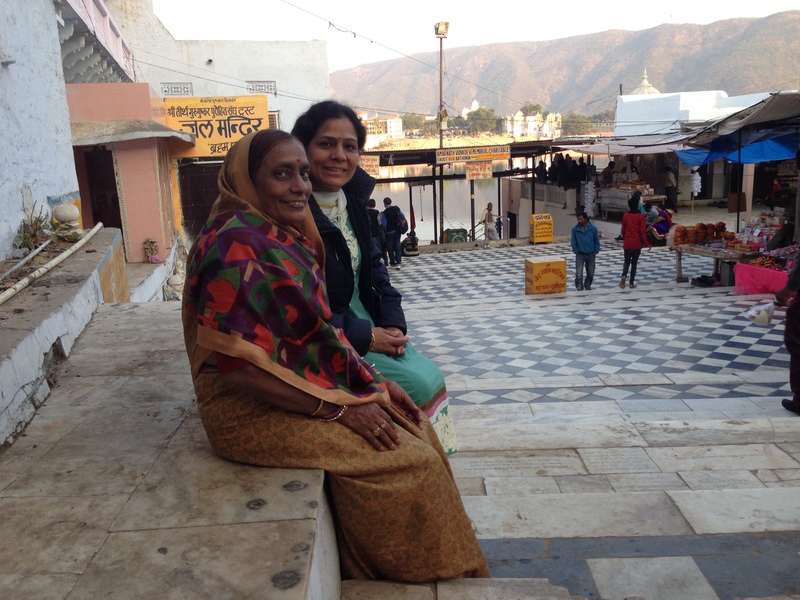 I visited Pushkar in December for just a few hours with my wife Neerja and my mother-in-law. I knew that my mother-in-law was born and had grown up in Pushkar. I requested her to come along with me and show us the town as she lived it. Once we reached there, she became quite animated when showing us where when the important things and important activities were, during her childhood days. Very understated by temperament, she let slip that her extended family (the Maloo family) owned half of Pushkar! I knew about her coming from a rich family in Pushkar, but this seemed really big. As an instance she said that when her father and his brothers separated, each one got many mansions in inheritance. She also stated that they used to own bricks of gold. Those bricks were mortared into walls to keep them safe from robbers. No one trusted the banks, they all trusted gold. We visited Pushkar Raj (pic on left), the holy lake in which everyone likes to take a holy dip. It has 52 ghats, or sides from which one can access the lake. We also the Brahmaji temple (pic on right). 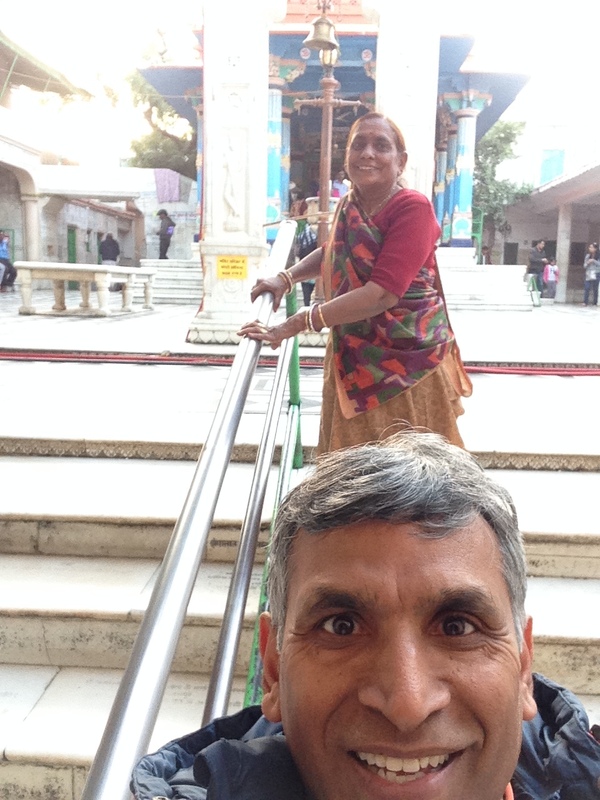 We visited the other famous temple in Pushkar, the Ranji temple, … the old Ranji template and the the new one. We then visited one of my mother-in-law’s family mansions, which is currently rented out. We bought loads of ‘Maal Puvey’, the rich creamy pancake-shaped dessert for which Pushkar is famous. I now had a feel for this ancient city. Thank you for stating about a not-so-famous but remarkably ancient and must see place in India. May I suggest, a few more pics would have been looked better on this page.